Hi everyone, Vera here today! 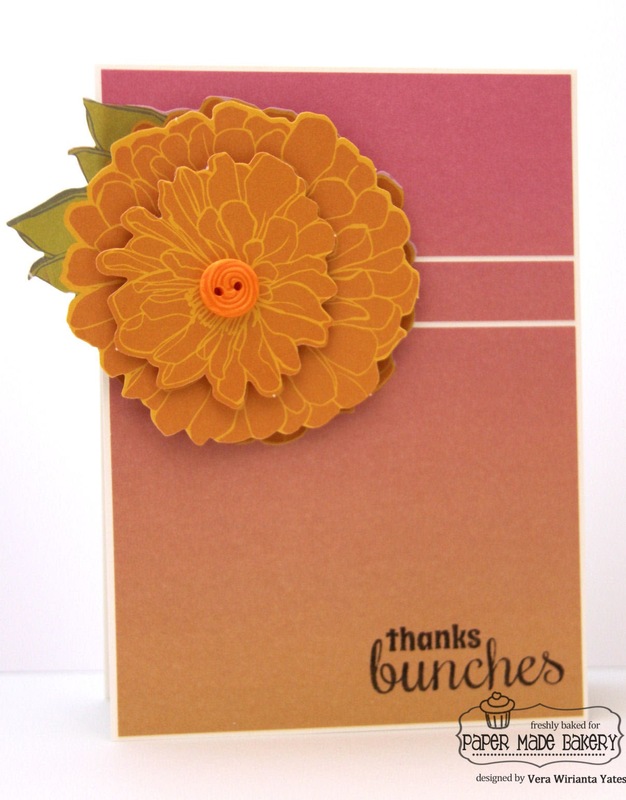 I have said it before and I'll say it again, I love the big bold flowers in this month's Classy Lady kit. Not much needed when you work with a beauty like this. I love the gradient color on this patterned paper. To add a bit of interest, I simply cut the paper into 3 sections and spaced them a bit when I adhered them to the card base. Then added the flower and sentiment. Sigh... my kind of card. ;) Quick & CAS. So, what do you think of this month's kit? Have you gotten your hands on it, yet? Fab! Love how you spaced the paper!